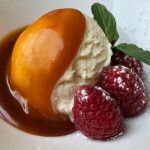 An easy way to bring your dessert up to another whole new level is to drizzle with some homemade salty caramel sauce. 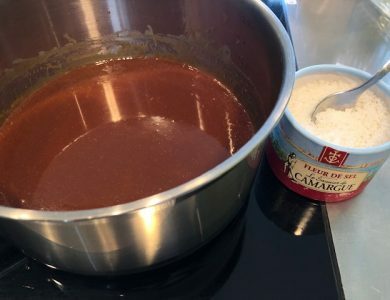 Adding a pinch of Fleur de Sel gives an edge to this sauce, and magically transform a simple scoop of vanilla ice cream, chocolate cake, or an apple pie to gourmet level! 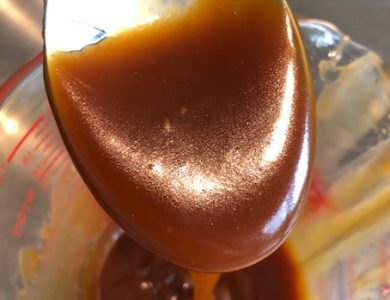 I’m not a big fan of caramel usually, but this homemade caramel sauce is a completely different world from the ones you buy in stores. 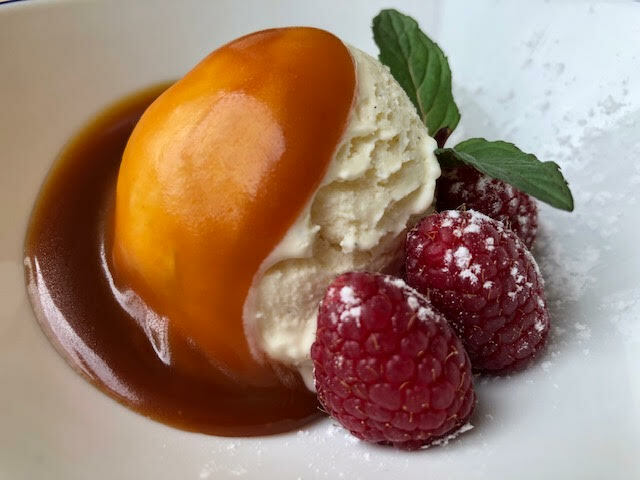 You can completely customize the bitterness level, so if I’m serving this over a very sweet ice cream or chocolate cake, I let the sugar cook a bit longer until the caramel is darker. 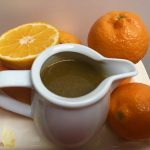 This gives more of a bitter and deeper profile to the sauce and pairs really well with the sweet counterpart. 10 minutes to make and keeps 1 month in the refrigerator. Totally worth the time invested! 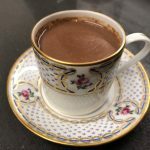 In a pot with thick bottom, put the sugar and water. Do not stir. 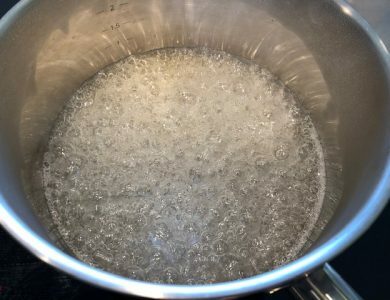 Turn on the heat (medium-high) and gently swirl so that the water is distributed into the sugar. Cook the mixture without stirring. It will start to bubble. Let it cook until it turns amber gold. 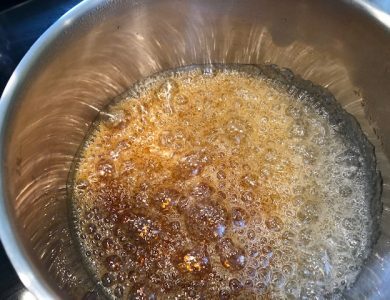 When the part of the sugar mixture turns dark amber, gently swirl so that the burning is evenly distributed. Once the butter is melted, pour in the cream gently and stir. Add in the Fleur de Sel and stir. It’s ready! Cool it to room temperature and keep it in a glass jar with a lid. 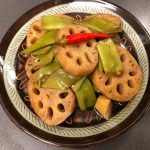 It keeps well for a month in the refrigerator, although it will firm up. To use it, I spoon the sauce out from the jar as much as i need into a glass container and warm it up for 30 sec in the microwave. This quick step makes the sauce fluid again. 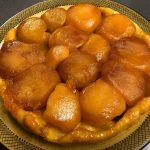 My favorite way to eat it is to drizzle over the Mövenpick vanilla icecream, or the Carte d’Or Madagascar vanilla ice cream that was selected as the best vanilla ice cream (you can get it on leshop.ch). Enjoy! Starts to turn dark amber. Gently swirl.. So rich, deep and satisfying!